This highly entertaining and educational program promotes reading in terms of each year’s summer reading theme. 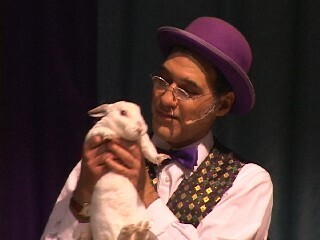 Jim’s live rabbit and talking puppets delight young and old. 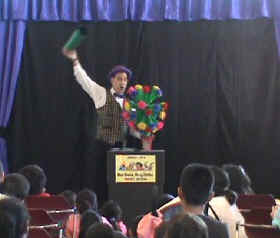 Jim’s ever-popular “Read, Not Read” magic game show engrosses the kids while teaching library resources. "Jim, your show was awesome! My son was dying with laughter!" You Can Get These Impressive Results Too!" "What was really exceptional is the way you blended this summer's theme, "One World, Many Stories," into your performance. 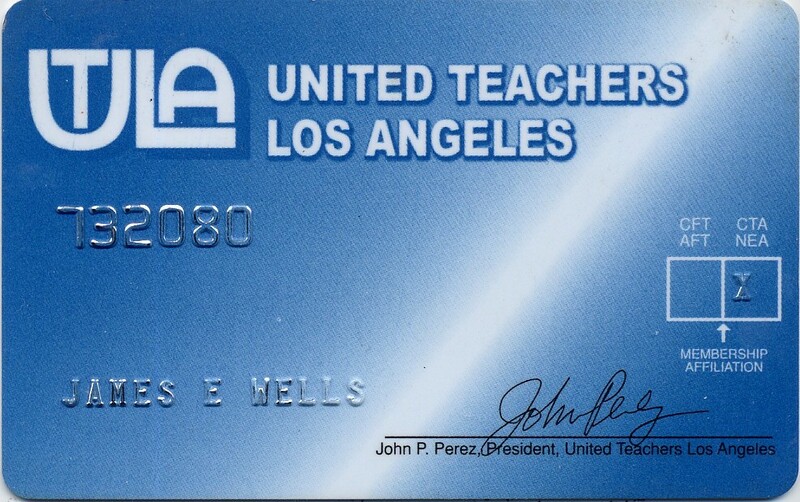 You fully reinforced the message that Los Angeles Public Library wants youngsters to take to heart: read, learn, and enjoy the public library. The audience of kids, parents, caretakers, and counselors enjoyed the playful way you integrated music, stories, comedy, magic and audience participation. 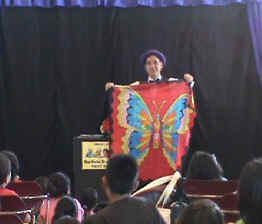 The adults were mesmerized and the kids were enthralled by the magic of Jersey Jim. 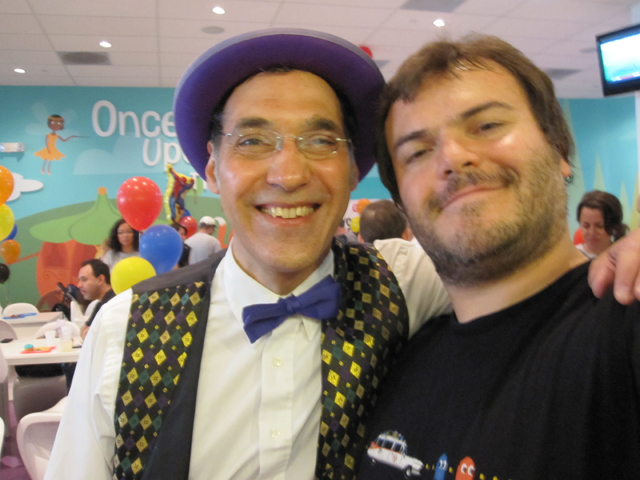 Thank you for bringing the joy of magic to so many this morning!" "Your program was great! And you did indeed go above and beyond...I liked the way you incorporated the stories into your magic show. You didn't just say "Reading is Magic," you actually gave short synopses of...different multicultural children's stories and wove them into your program. You generated interest in children's literature for not only the children but their parents as well." "The show was awesome! I highly recommend Jersey Jim! Most liked the book connections plus library terms and of course the magic!" "Thank you for the wonderful show!! It’s very good for kids of all ages. Very entertaining, very funny, and fun. Liked how the kids were involved in the show. The rabbit trick is very cool!" 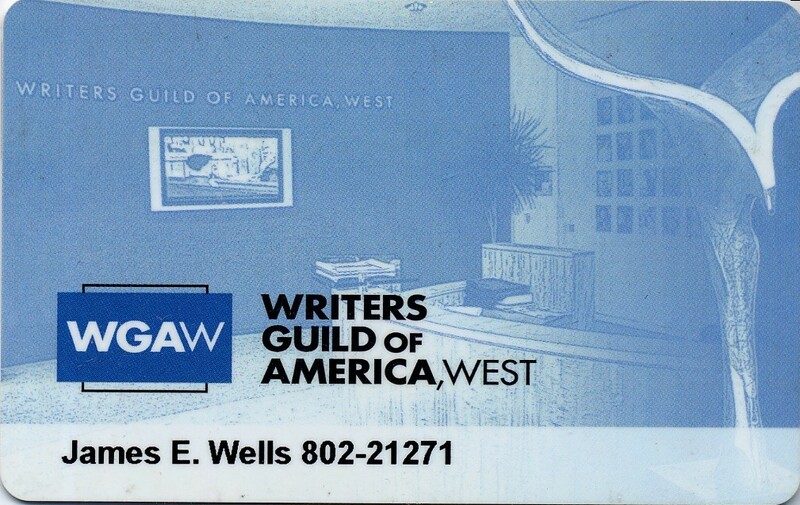 a published author, and a member of the Writer’s Guild of America. and he carries 1 million dollar liability insurance as a performer. When Vince Vaughn and Hollywood went looking for the best children’s magician, they cast Jim! 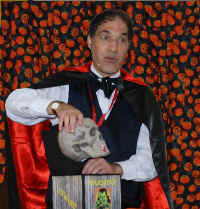 The Big Boo Halloween Safety Show is the perfect way to celebrate the Halloween season in a fun and educational way. It's a learning giggle fest. Between laughter, the children learn Costume Safety, Group Safety, and Candy Safety. For example, they learn not to eat any treats that are unwrapped until asking an adult. Spooky-goofy fun, featuring Dracula's floating skull, Fraken-Rabid, and Casper the Live Bunny who everyone loves to pet after the show. 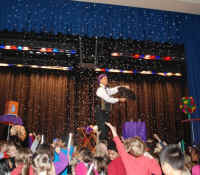 Frosty's fun-filled winter magic show is the perfect way to celebrate the winter season in a non-denominational way. Hilarious magic routines with penguins, polar bears, gingerbread men, floating snowballs, and, of course, Frosty the Snowman himself, who makes his surprise appearance at the end of the show fresh from the North Pole. A thrilling Disney-esque moment that the children will always remember. It will even snow! This event is perfect from November through March. Christmas themed magic show with loads of laughs and fun magic and funny puppet. Rocky the bunny rabbit appears and his Christmas wish finally comes true as he changes right before your eyes from a puppet into a real live bunny rabbit! All the kids love coming up to pet the bunny, a great photo opportunity for the parents. 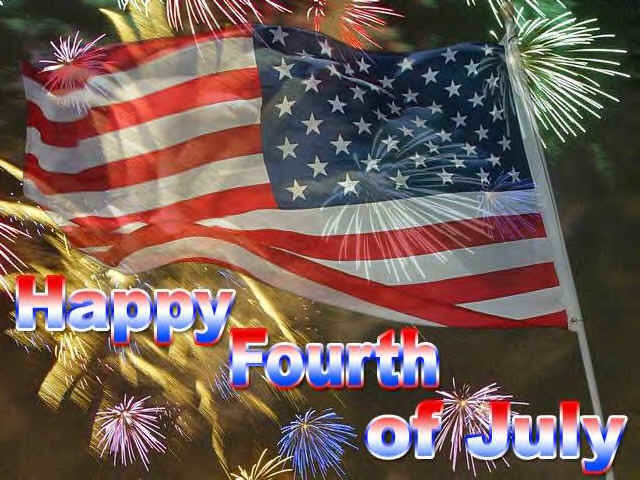 Celebrate America's birthday with a fun-filled and educational magic show. Kids will learn about our nation's history while laughing out loud. Learn the meaning of the Red, White, and Blue while magically creating our country's flag, try to follow Paul Revere on his midnight ride, learn that the nation cannot be dissolved as the US Constitution magically restores to one piece when ripped, and many other fun routines themed around the birth of American independence.